Leave the car in Cipressa in Piazza Mazzini and, on the advice of the omniscient tobacconist of the village, take via Risorgimento, decorated by a mural. Continue on a slight climb on fine cobblestone between stone houses and gardens. Original "rasta pigtails" succulent plants decorate the pink alley. Once out of Cipressa continue straight on a sort of green balcony overlooking the sea (including a row of cypress trees!). 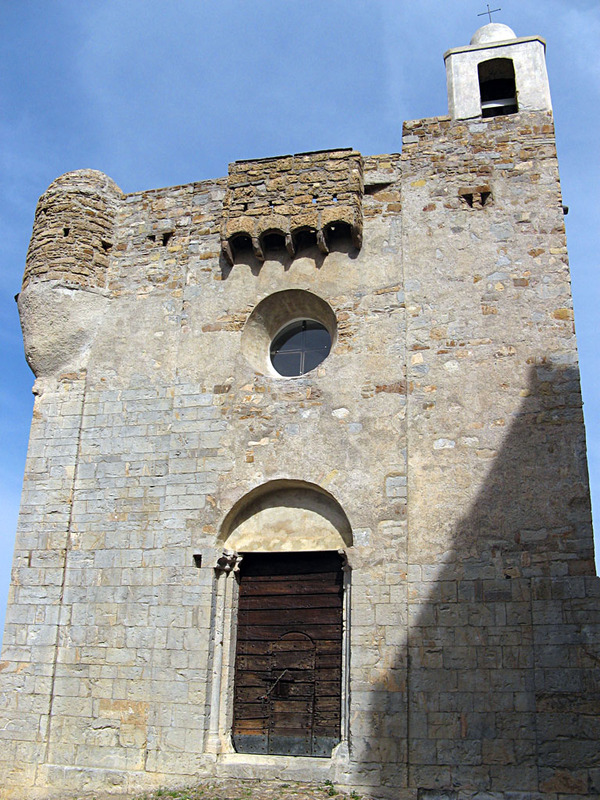 After twenty minutes, the church of S. Antonio Abate is revealed in episodes: first the bell tower, unfortunately blocked out, then the main body, half hidden by the walls and finally a solitary column in front of the portal. Curiosity: Proto-Romanesque, the church of Sant'Antonio Abate has undergone many reconstructions: from a road junction with hospital to a place of worship to a hermitage. Today closed for works, presents a curious division of the central nave between men and women and an ancient octagonal baptismal font, carved in a single limestone block. Mysterious sandstone column placed there in unspecified date. From the square of the church you can already see Lingueglietta, stretched on the ridge overlooking the valley of San Lorenzo. Continue on the path halfway between the trees with beautiful views, for another twenty minutes. A last short stretch on the asphalt and enter the village through a panoramic area with benches. Here, an inhabitant notes the satisfaction and apostrophises laughing: "in Lingueglietta there is no need to die to see Paradise!". You could not agree more, as you slip into via Scuole Dolmetta, with bright pink and gray gold walls. After all, here is the fortress church of San Pietro, a striking combination of religious architecture of the '200 and military of the' 500. Severe and beautiful. 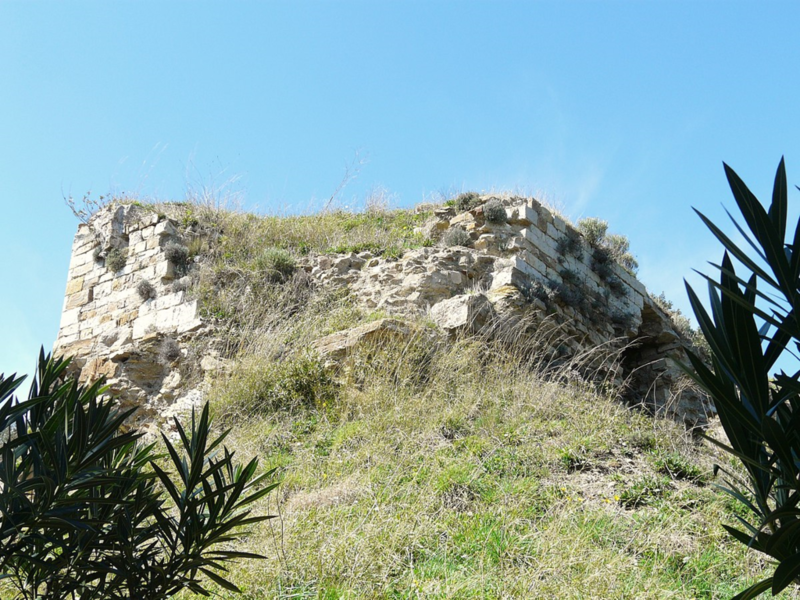 Curiosity: the religious building was turned into a fortress to defend from pirate raids: the side entrance was closed, the roof was replaced with a vaulted terrace above for the patrol, surrounded by high walls with crenels. Two corner bartizans and even the drains were added to throw the boiling water! Let's go for a stroll around the country. Ramps, covered passages, vaults and stone arches, paving that often traces the original. Silence and well- fed cats everywhere. You find in the ancient loggia of the municipal market, the units of measurement carved into the stone for wheat, wine and oil (you can note the hole for the leakage of liquids). On the opposite wall a horizontal rod indicates the linear measurement (but what length is it?). 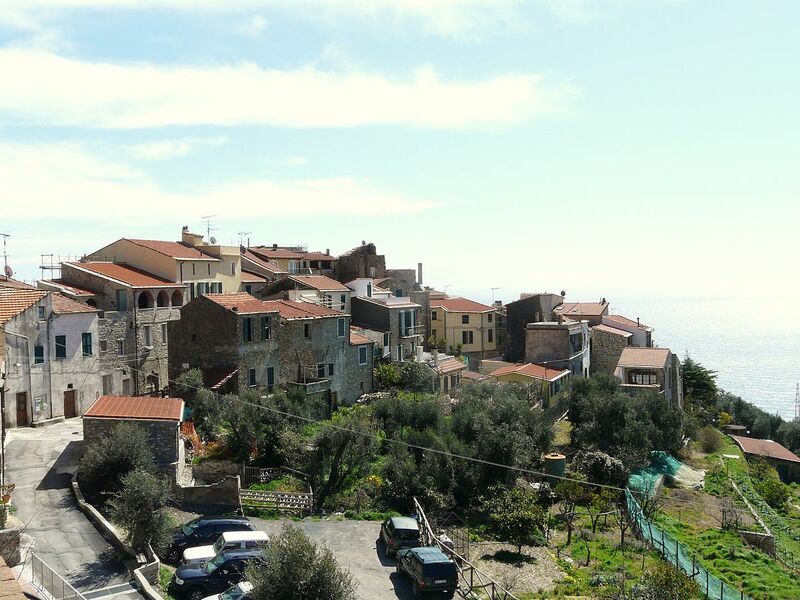 After lunch, past the ruins, take the road downhill to Civezza. 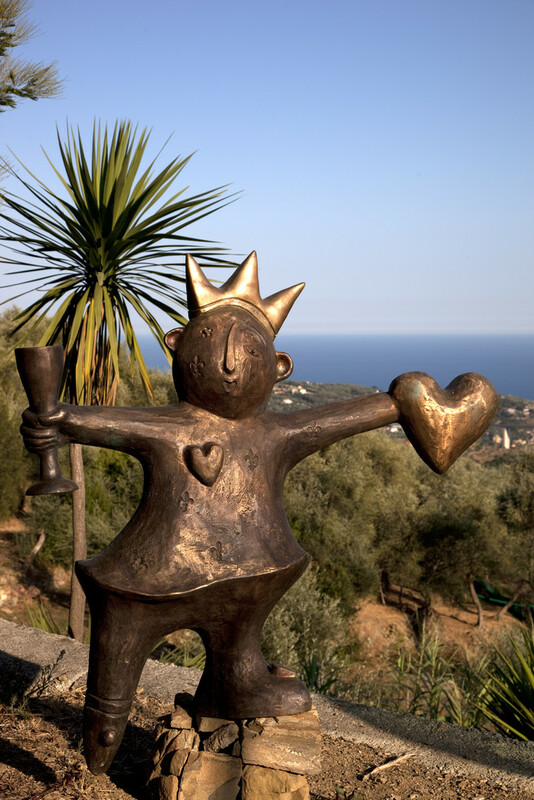 The Park Between Worlds of the sculptress-painter Carin Grudda2017/07/06/read-more/argomenti/events/articolo/the-fantastic-world-of-carin-grudda-at-maci-in-imperia.html opens at 3 pm and it takes more than half an hour's walk. Once you get to the Park, you appreciate the genius of the artist and her bronze works of primitive, magical and playful shapes: the king, the fool, the phoenix, the pegasus, the cerberus ... they graze in the meadows in a suspended atmosphere. Far away, in the grazing light, Lingueglietta stands out in a new perspective. In the end, you visit also the atelier and it is just as you imagined it: even the bathroom exudes creativity! 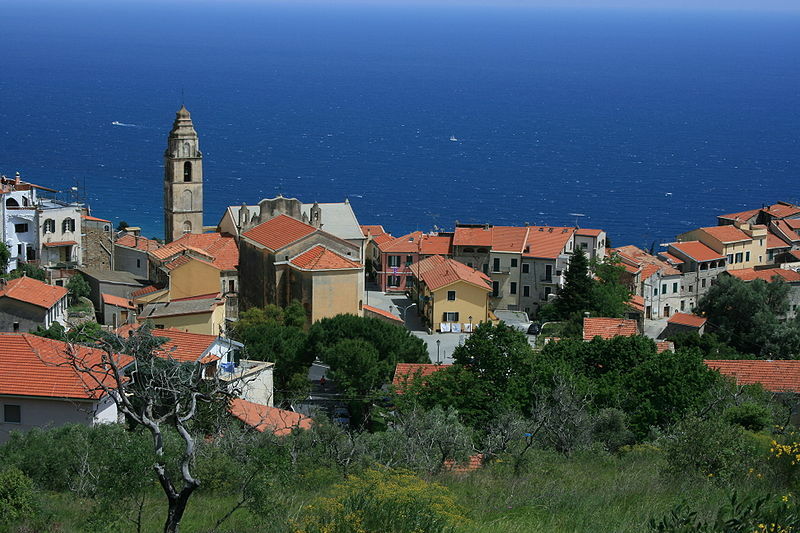 Take a look at the votive pillar at the end of the town and retrace the walk to Cipressa in time to catch an image of St. Anthony the Abbot at dusk. 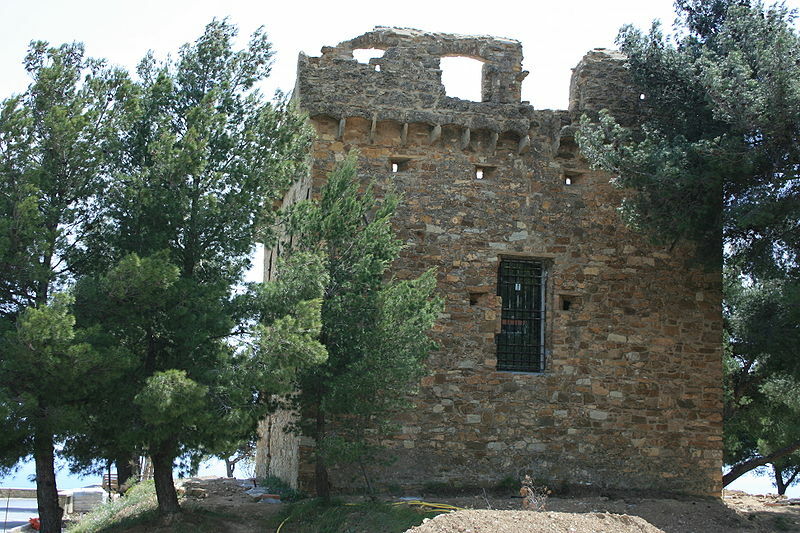 And for a shot at the Gallinara tower, which you reach by car when the evening has already fallen ... There would also be the Museum of Contemporary Art at Villa Biener.